At Raven Radio , we’re dotting our “I’s” with little hearts and bursting with excitement. 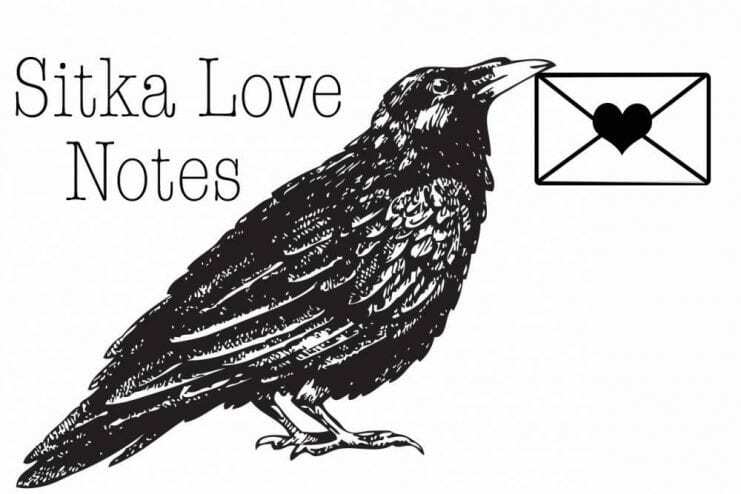 It’s February, and that means “Sitka Love Notes” is back, and we’re ready to put a little more love into the world on this festive, heart-filled holiday. Valentine’s Day is all about saying how you feel- whether you’re sharing your affection for your longterm partner or a stranger you hope to share a cup of coffee with. When you’ve ‘caught feelings’ in Sitka, you can shout it from the mountaintops. But why not go a step further- broadcast your love TO the mountaintops and beyond. So, how can you participate in this year’s festivities at Raven Radio? Drop a letter in one of the boxes around town (pen and paper provided). They’ll be available through the 13th of February at Raven Radio, The Backdoor Cafe, Highliner Coffee Company, and Sitka Public Library. We’ll read the letters over the air on February 14th and publish them on our website! Read through some of our favorites from years past here .